Warangal: With a strong hold on Warangal Parliament seat, the TRS party is sketching plans to ensure that more votes are polled in its favour than during the Assembly elections. Confident of a victory once again, the TRS is eyeing a huge majority this time. Sitting MP Pasunoori Dayakar, who contested in the 2015 by-election after Kadiam Srihari who was elected in 2014 was asked to resign, had won with a record majority of 4.56 lakh votes against Congress party’s Sarve Satyanarayana and BJP-TD’s Pagidipati Devaiah. In the Assembly elections held in December, the party won six out of the seven Assembly constituencies under this Parliament segment. Bhupalpally constituency was won by the Congress. With an aim to carry forward this trend into the Parliament elections, the TRS leaders are urging the cadre from booth-level to constituency-level to coordinate in a way so that no voter, who is benefitting from the TRS schemes, shifts loyalty elsewhere. Coordination meetings at constituency-level are lined up from March 26 to 31, involving all the MLAs, Corporation chairmen, division presidents and local coordination committees. Clear messages to attract the Opposition party cadre into its fold are also being given. The target is to get more number of votes than in Assembly polls. The seven constituencies under Warangal seat returned 6,71,482 votes in favour of the TRS in the recent Assembly elections. The six constituencies in which the TRS won combined got a majority of 2,99,581. During the 2015 byelection, 6,15,403 votes were polled in the favour of TRS. There has been an increase in the number of votes polled in favour of the ruling party from 2015 to 2018. 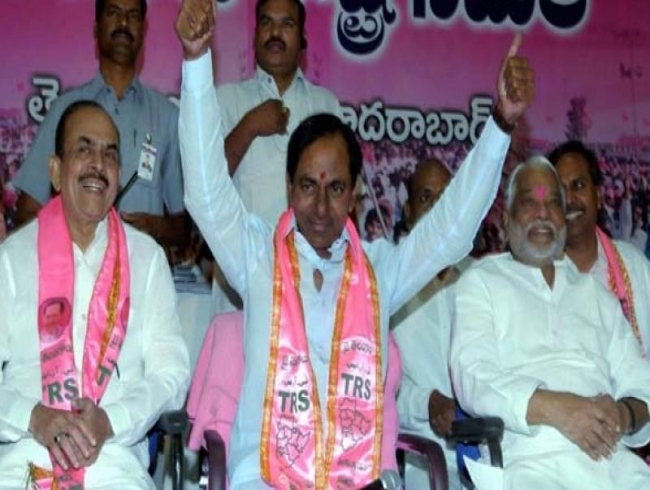 Riding on the positive trend, the TRS is expecting to get an easy victory over the Congress. With the BJP fielding an outsider, and as the party is considerably weak currently, it means the fight would be between the TRS and the Congress.